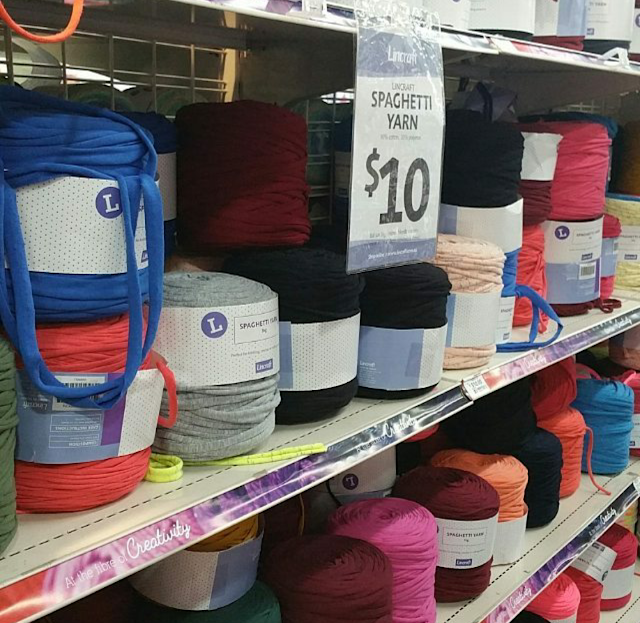 I have to say that I'm just a big fond the Spaghetti Yarn section at Lincraft! And my local store seems to have a GREAT variety of colours and patterns on offer. 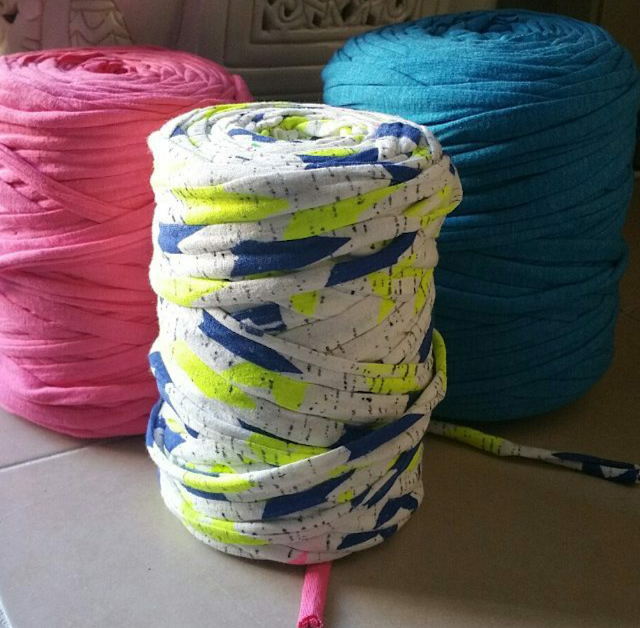 It does make deciding what to buy for projects somewhat difficult (a nice problem to have). 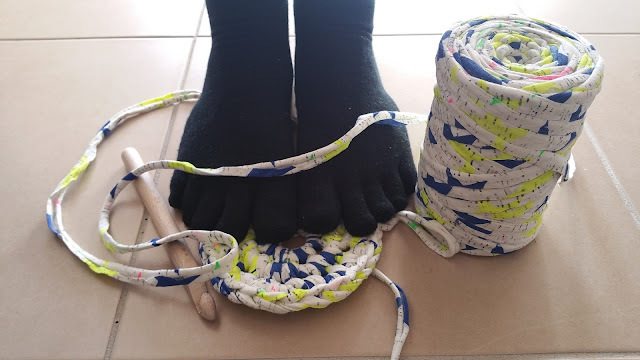 After I had taken the Crochet Basket class at Workshop I had my mind set on making a bathmat out of the same type of yarn. Never mind that a circle shape mat wouldn't really fit the floor space in our bathroom. 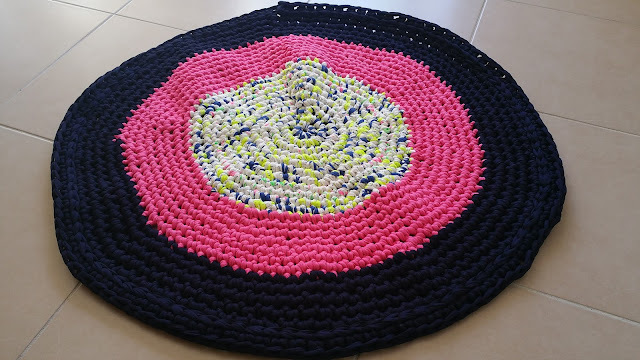 I decided that I needed a pattern for the rug (even though I really did - I could've used the basket pattern) so I found one online at Chompa Handmade. 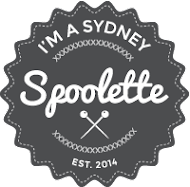 I really only used it to get started however as I adjusted things as I went to try and avoid some of the buckling that you can see happening below (I think that means I've increased things too fast)? The rug is as big as all the yarn I had -- I didn't want any scraps left over. 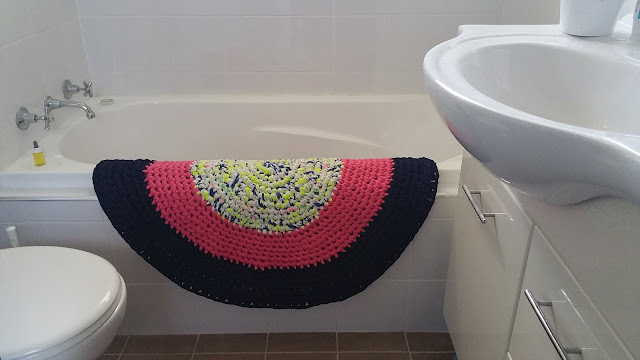 Ta da - bathmat in situ! This thing has been in constant use since I finished it and the rippling has smoothed from us standing on it every day. I would definitely like to make another one at some point in the not-to-distant future.